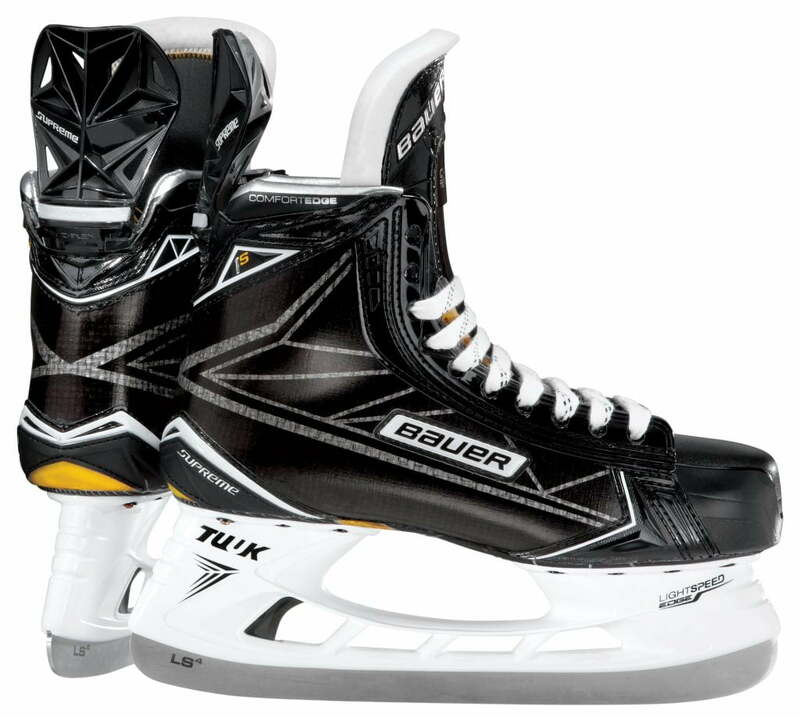 Bauer Supreme 1S Junior Hockey Skate | Sports Etc. In the Bauer Supreme 1S skate a 3-D lasted Titanium Curv© composite quarter panel offers pro-level stiffness, while a vented composite outsole ensure responsive control. Both the tongue and tendon guard feature C-flex technology, allowing customizable flexion with soft, mid or stiff inserts. 37.5 Technology liner evaporates sweat, regulating the body temperature, and includes wear pads in high-stress areas. The tongue also features FORM-FIT LITE 52oz/40oz foam comfort padding, which creates comfort without sacrificing protection. Sports Etc Performance To Value Rating– 8 out of 10- The ultimate premium high performance skate for the power skater. The lightest skate on the market.